Toe Man has a tendency of buying the best boards in the shop. Here he is with the 6'7 Reno kine single...HB to the MAX! JW Clams rang Thursday afternoon from legendary Midwood pizzeria DiFaro's and asked what I wanted to drink. "Why you playing HA? 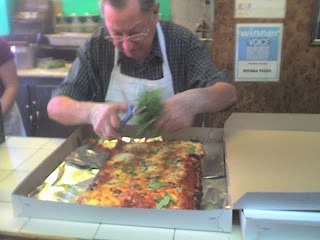 Aight, take a picture of the Old Man cutting the basil over a fresh pie." Minutes later this came out of the oven and Domenico DeMarco broke out his plants! Top 5 pies in de 5 Boros, thanks ta J Mussels & Chris Kaiser for sorting it out. Tuff Respect! List w/select pix of available surfing boards hanging from the ceiling, in the closet, behind the racks, stashed upstairs and sanwiched between others. The River is too close to the Sea! -10'4 Michel Junod Super LOG! Tim Duran-Duran, is it LIVE LIVE LIVE? Right as the party started winding down, some dude came skating thru the front door and slid the flat-file! it's a GROM w/a beard....Shady Hollahide! -NOW taking kustom AXXE wetsuit orders! Two-week turn around time. Two kids rolled by on their way home from school and wanted wax. What for? To use on curbs so they slide better. Right on, how was school today? Chuck Tat with 8'0 Fineline Halloween eggy kine, HB to the max! Leilani w/Vaquera boots and 7'10 Andreini Vaquero. Couple of Caspers came in yesterday just in time for Halloween. 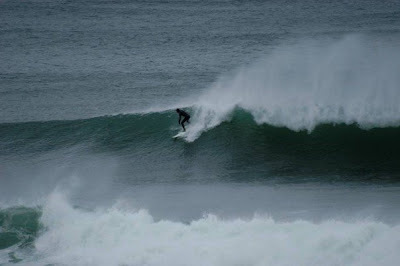 Steve Bee and 5'6 Casper, his bro Kev threw down for the 5'7....Beware Bros Brennan in the Shorey! 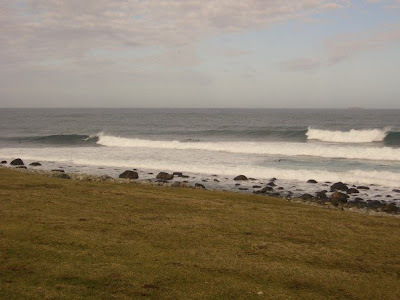 the remaining 5'1 Caspahhhhhh hand-shaped by Joe Bauguess for the Swift Movement. These are the real deal Holyfields, beware half-steppin imposters! Rocker Rikky IV came thru with de slick SIMS Eric Nash. CRISPONES! More rights, this time in Norway. PSP del fuego courtesy of Anders and Marie. How's the Junod treating ya? And bringin it back to River Street by way of Flushing Meadow, SJONES gettin nice in Tim's and a Jansport. Respect to Shams de Baron and Norman Vename! -RIGHT COAST book signing tomorrow nite with Susannah Ray, 8pm at the Shop. -It's Awesome Allison's birthday too and Secret Project is building all these cool-n-scary cardboard trees. BOO! -HAPPY BIRTHDAY JOSH HALLLLLLL, pizza at 3am?